A three-story-tall mural of Divine, the John Waters drag queen character best known for a scene involving the downing of doggie doo. But after an hour-and-a-half long hearing yesterday, the Commission for Historical and Architectural Preservation (CHAP) was swept into the embrace of the statuesque LGBTQ icon. “Divine is not only a gay hero, but one to many straight people, too. The ones with an especially developed sense of humor,” said Waters via a statement read by an assistant. 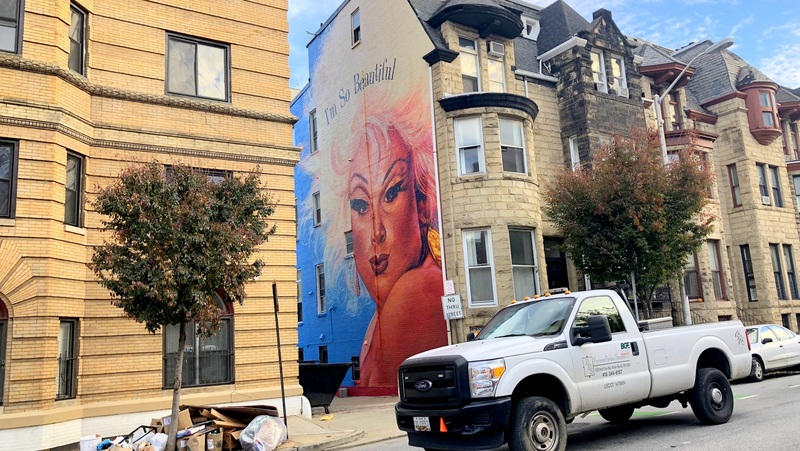 Instead of castigating the owners for failing to get permission before having the mural painted on the side of their Mount Vernon building last month, another speaker said, officials should thank them for gifting the city’s longtime “gayborhood” with a beacon of pride and empowerment. 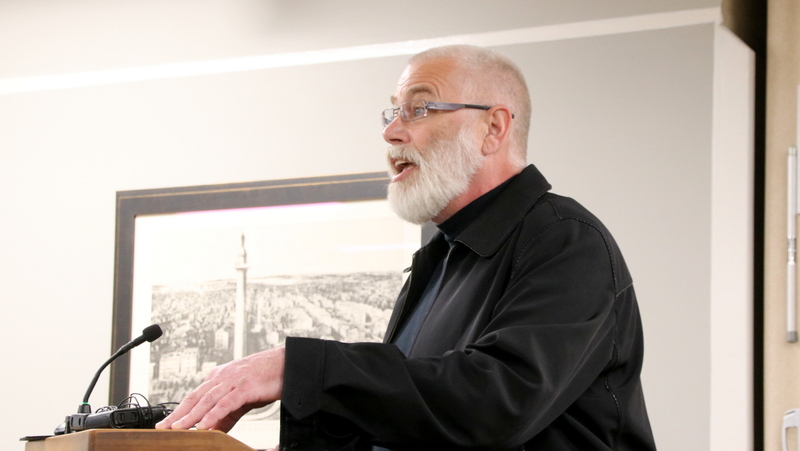 “I lived in an era when gay men were dying left and right and not only from disease, but from violence and oppression,” said Steve Cavaselis. Divine, who was born Harris Glenn Milstead and died in 1988, was “not just misrepresented as someone who was a transsexual or a transvestite,” Cavaselis said. “This was a man who created a character, whose character who embodied fearlessness and bravado and other things that I can’t mention in this present audience,” he said with a grin. The commission voted unanimously to approve retroactively the mural at 106 East Preston Street, but it took some astute navigating to get there. Staffer Caitlin Audette explained that the mural is now caught between two CHAP guidelines for historic districts. But getting rid of the mural, Audette said, would violate another CHAP guideline that says, “do not remove sound, well-adhered paint,” because doing so could damage historic masonry. She said the staff recommended granting permission because following the second guideline, at this point, would do the least damage to the wall. 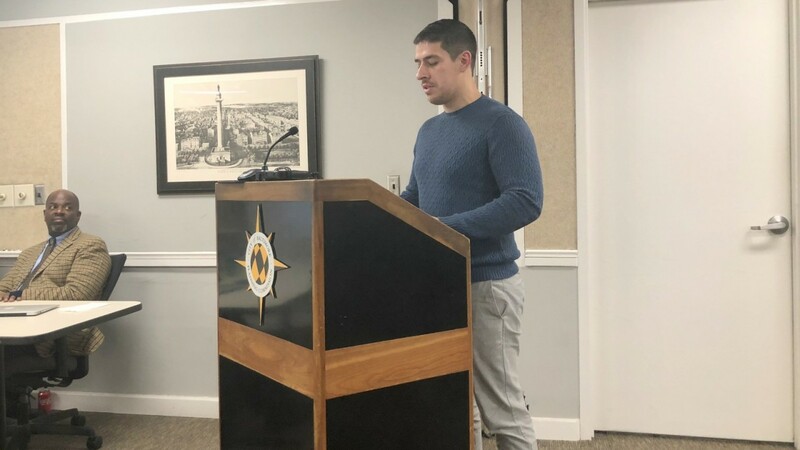 Also testifying was Jesse Salazar, one of the two owners of the building, which was hit with a violation and stop-work order after the mural was completed. “We borrowed the money to fund the Divine mural to send a positive message to the city’s LGBTQ community and to honor the legacy of one of our most important icons,” he said. 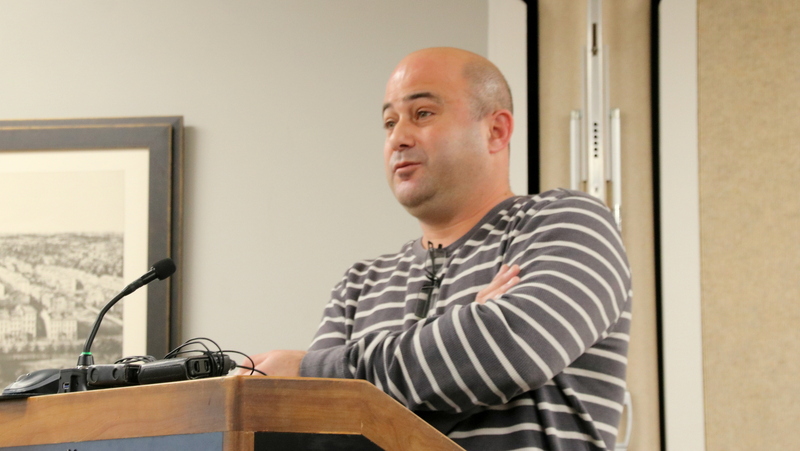 The case prompted several on the panel to reflect on the ambiguity in CHAP’s rules and previous decision-making. 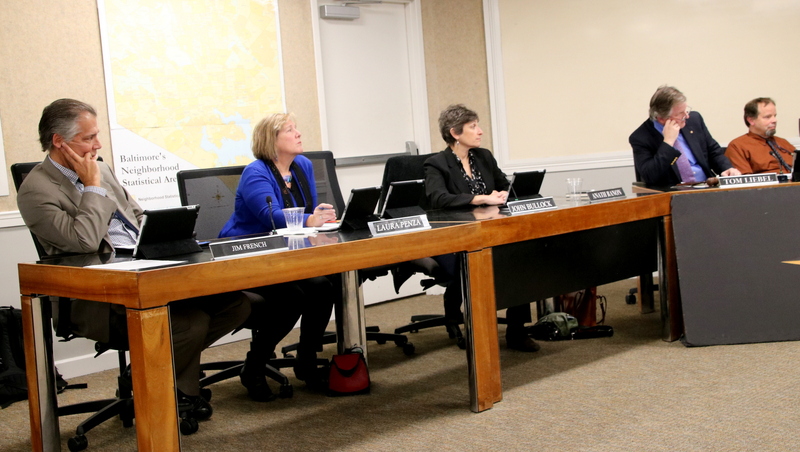 “Apparently, our rules are not clearly expressed as it relates to the distinction between painting and works of artistic expression,” said commission member Aaron Bryant. The idea that historic districts can’t have art “doesn’t hold water with me,” commission member Elizabeth Nix said. She noted that CHAP has previously approved mosaics and other artwork in a number of city historic districts, such as Union Square and Fells Point. “Historic districts can still have their integrity, but have art placed thoughtfully around them,” Nix said. CHAP chairman Tom Liebel agreed. “As our design guidelines are an evolving document, we will take that under advisement and try to make this interpretation more clear,” he said. “The press is here,” commission member Larry Gibson observed, saying that widespread coverage of the matter will leave the public no excuse in the future for pleading ignorance of the rules. 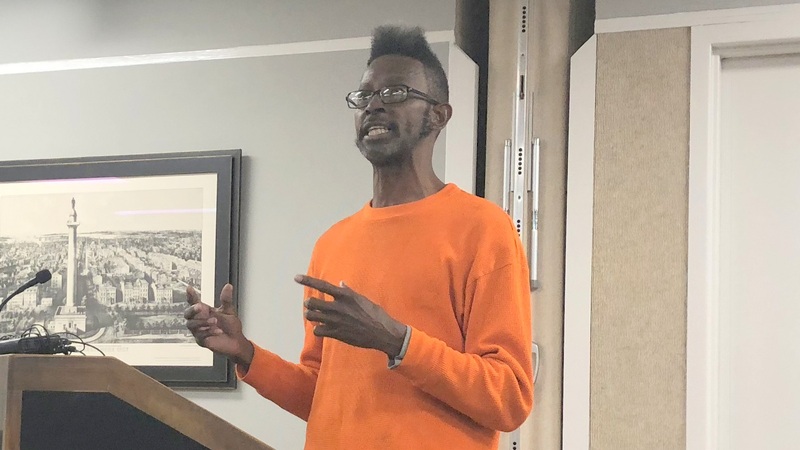 Of the half-dozen members of the public who spoke, only one – a Mount Vernon property owner who said he has followed CHAP rules – opposed the mural. “This painting is absolutely absurd. 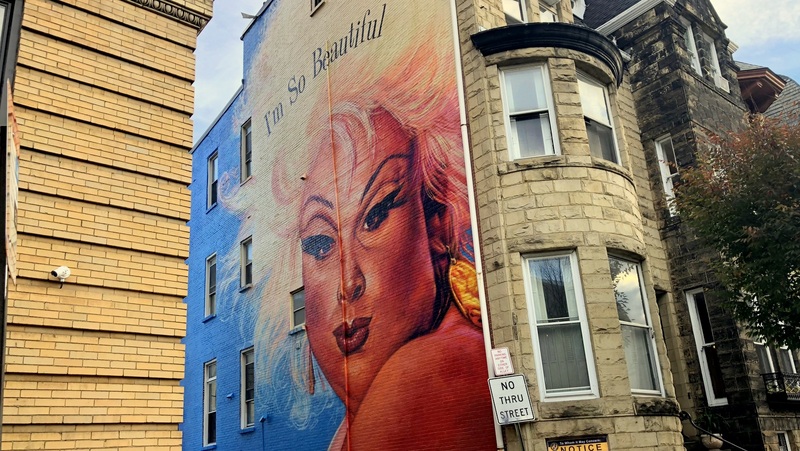 I would love to see the brick back,” said Owen Orbach, who owns a building on the other side of the alley where the “I’m So Beautiful” mural is. “The fact of the matter is that somebody went illegally and did this, and [allowing him] to do so will encourage anybody else to do the same thing,” Orbach said. “The demographic is changing,” he said, noting the closure of The Hippo, a gay bar that has been a fixture in the neighborhood. “Peoples’ personal opinion should be inside the wall, not outside the wall,” he added, prompting some hissing in the audience. Another Mount Vernon business owner, Kevin Brown, praised the mural, saying that in a city plagued by “pockets of poverty,” it exemplifies another Baltimore feature. “We also have islands of excellence,” Brown said. Waters said Divine always stayed in Mount Vernon when they were filming in Baltimore. “He loved Tyson street, the Belvedere, Leon’s and the Hippo, and would be so proud to be displayed now so beautifully on a mural,” Waters said. “I am kind of mystified as to the controversy and hope today’s hearing is merely a technicality,” he added.